Make your own tools is the subject of this edition of the woodworking tip of the week. 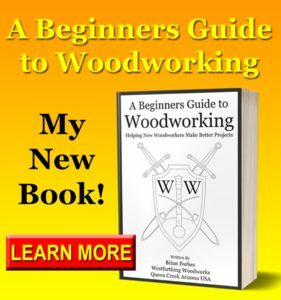 As a woodworker, you will be barraged with companies trying to sell you tools. 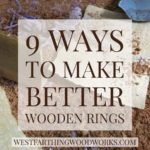 When you make something yourself, it broadens your woodworking ability, and you get a inexpensive tool out of the deal as well. Also, you can create tools that do not exist in the form you need them by innovating, and experimenting with design. My favorite example of how to make your own tools is my fret slotting jig. I was frustrated with measuring and sawing frets by hand. Inevitably I would get near the end and somethng would go wrong. As soon as I cut the slot, I would check the measurement and it would be off. For a guitar fretboard, this means starting over again. I looked around for a solution. There were plenty of places that sold fret slotting systems for the table saw, but they were hundreds of dollars. I’m sure they worked very well, but I was not about to spend that much money. After a little thinking, I decided to try something similar to a miter box. 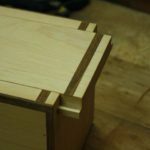 Having worked with miter boxes before, I also knew that I would need something to hold my place so that the cuts were very accurate. The idea came to me instantly. 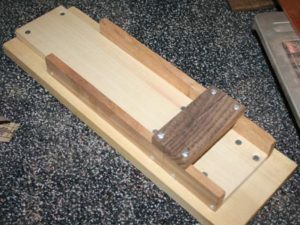 A small piece of thin metal that is the same thickness as a fret slot was installed right under the saw guide, which holds a template fretboard by the slot. The design was perfect on the first round. Using a template fretboard, all I had to do was slide the blank and the template into the miter box together. Then, lock the first fret slot onto the metal piece. After that, I could saw the slot, and then move the piece to the next fret. I got lucky on this one. The first build came out perfectly, and did not need any alterations to the design. 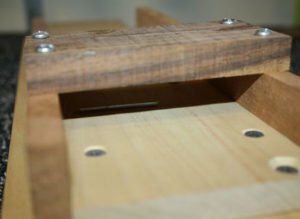 When I made this jig, I was able to slot about a dozen fretboards in an hour, which was about the time it normally took to slot a single fretboard before. This was a perfect example of how to build your own tools and save lots of time and money in the shop. 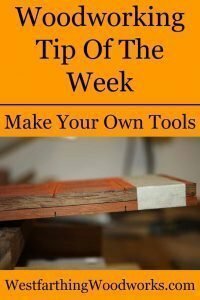 There are many websites and books out there that show you how to make your own tools. 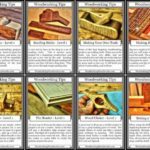 If you follow their instructions and make what they show you, the price of the book will be meaningless next to the value of the tool. Also, making tools expands your woodworking ability. When you make something that you use, it warms you twice, because you benefit from crafting and using the piece. 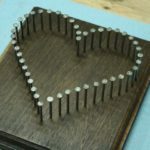 This is by far my most popular acoustic guitar making jig. I have received hundreds and hundreds of emails from people thanking me for sharing the instructions for free. 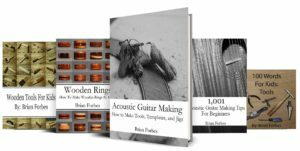 I also share this tool and nearly 50 more in my book, Acoustic Guitar Making: How to make Tools, Templates, and Jigs. It’s a great book for new guitar makers, and helps simplify many of the processes. When you make your own tools, you really do benefit more than buying them. Plus, they will have more value to you. A handmade tool that works well is a lifelong treasure. You will enjoy using it, and it will provide years of lasting service in the shop. 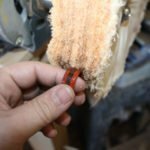 Instead of buying your next hand tool, try making it. You may surprise yourself at how well it comes out. If you have any questions on Make Your Own Tools, please leave a comment and I will be glad to answer them. Also, please share my work with your friends on Pinterest! Happy building.